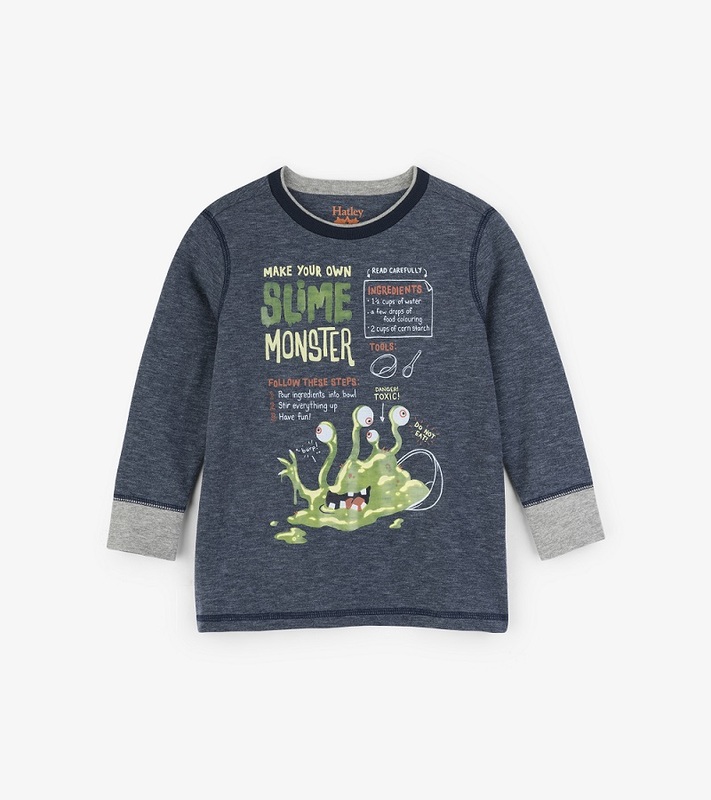 This fun and soft long sleeve 'Slime Monster ' tee has contrast cuffs and elbow patches. Even includes a recipe for slime. By Hatley.